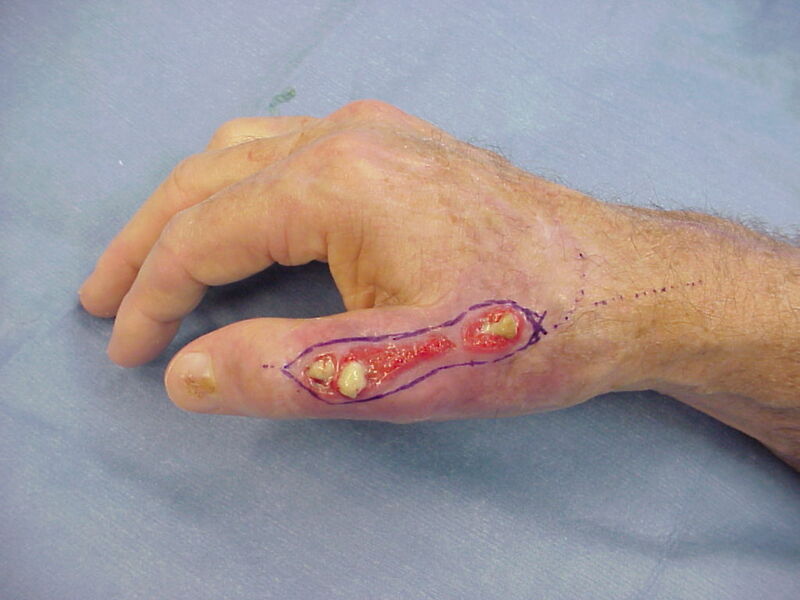 Infection following trauma is always due to inadequate debridement. This is an example of inadequate debridement corrected by adequate debridement. This elderly gentleman presented two weeks after injuries sustained in a motor vehicle accident. His initial treatment included primary repair of a torn extensor pollicis longus tendon beneath a traumatic distally based flap. 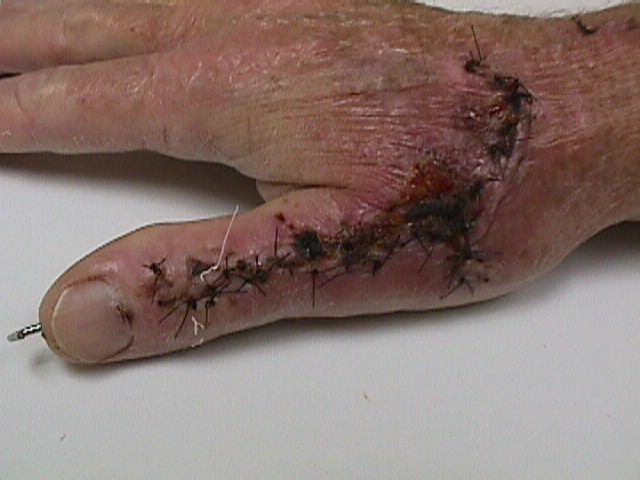 At initial evaluation, the edges of the traumatic flap ranged from necrotic to indeterminate viability. 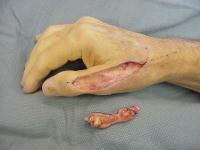 He was brought to the operating room for definitive debridement. The affected area was excised as a tumor, down to bone. 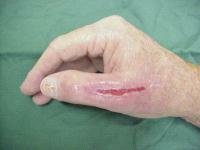 He refused any other surgery, and healed with local wound care. This documents his progress two weeks post debridement. 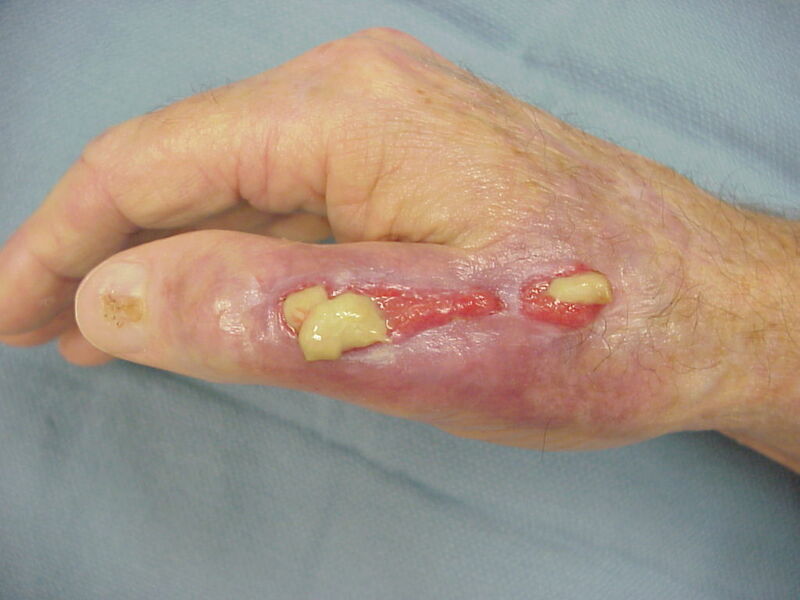 He healed, and had no further infection.